Living a Fit and Full Life: Amp Up Your Hair's Volume with Pureology's Clean Volume Line! Amp Up Your Hair's Volume with Pureology's Clean Volume Line! Lift and nourish your hair with this daily volumizing conditioner that infuses fine, color-treated hair with airy, lightweight volume. 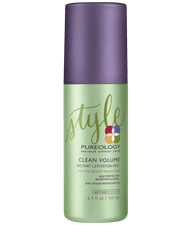 Amp up your hair's volume with Pureology's Clean Volume Line! Pureology's Clean Volume Line not only smells incredibly amazing but it's a great way to amp up your hair's volume. As a fine haired girl I'm always on the hunt for products to amp up my hairs volume, but I'm also on the hunt for products without harsh chemicals. 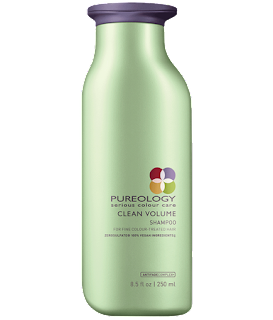 Pureology's Clean Volume Line not only gives my hair amazing volume, but it also doesn't contain any sulfates, parabens, or silicones. 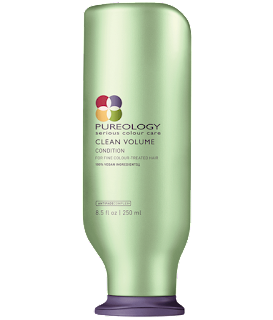 Pureology's Clean Volume Shampoo and Conditioner protects color while infusing hair with light, airy fullness and a vibrant, shiny finish. I absolutely love how soft and full my hair feels after using this shampoo and conditioner. The shine it gives my hair is also amazing! Clean Volume Instant Levitation Mist from Pureology maximizes root life by stimulating the scalp while also protecting against heat damage. It does an amazing job to give my roots a boost and helps my hair look fuller than ever! 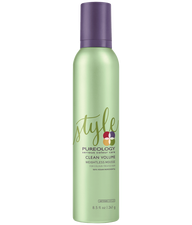 Pureology's Clean Volume Weightless Mousse creates lifted, soft and shiny hair while allowing flexible movement. I love that this mousse doesn't make my hair stiff and seems to increase my hairs volume without weighing it down. It's the perfect way to amp up your hair's volume! 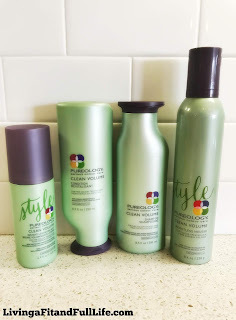 Pureology's Clean Volume Line is amazing and you'll absolutely love it! 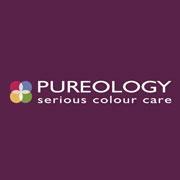 Click HERE to find a store near you that sells Pureology! Click HERE to learn more about Pureology! Follow Pureology on social media!